The pathogenesis of hemorrhoids is multifactorial. Predisposing factors include heredity, portal hypertension, straining to defecate, and pregnancy. Internal hemorrhoids are classified into four groups. First-degree internal hemorrhoids do not protrude, cannot be palpated by digital examination, and require anoscopy for diagnosis. Second-degree hemorrhoids protrude with defecation, but reduce spontaneously. Third-degree hemorrhoids protrude and require manual reduction. Active principle: Calcium dobesilate. Capsule: Calcium dobesilate 500 mg, colour (E132), excipients for capsule. Microangiopathies, in particular diabetic retinopathy. Clinical signs of chronic venous insufficiency in the lower limbs (Pain, cramps, paresthesia, oedema, stasis, dermatosis), as adjuvant in superficial thrombophlebitis. Haemorrhoidal syndrome, microcirculation disorders of arteriovenous origin. Generally 500 to 1000 mg - 1 capsule once or twice a day - to be taken with the main meals. 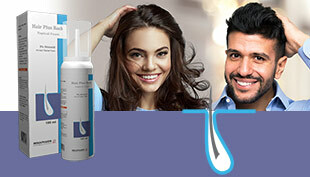 Treatment duration, which is generally between a few weeks and several months, depends on the disease and its evolution. Dosage should be adapted individually according to the severity of the case. Can Doxium be used in Children? Not before the age of 12 years old. 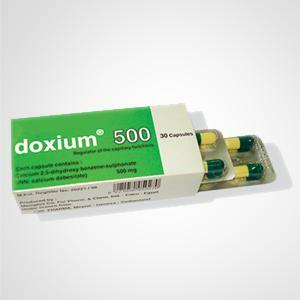 Can doxium be used in patients with liver and kidney impairement diseases? Yes, safely as doxium is excreted half from kidney and half from liver. 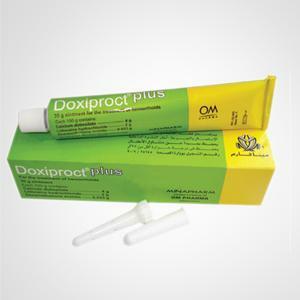 Doxiproct plus ointment is used for all hemorrhoidal degrees: in 1st and 2nd degree for treatment, due to Calcium dobesilate and in 3rd and 4th degree as adjuvant to surgery. 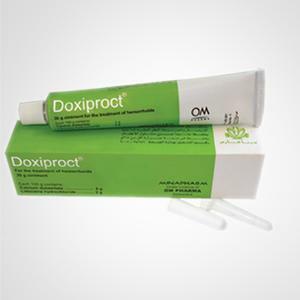 Doxiproct ointment is used for all hemorrhoidal degrees: in 1st and 2nd degree for treatment due to Calcium dobesilate and in 3rd and 4th degree as adjuvant to surgery.